In all the excitement of our high school “girl friend’s trip” to the Everglades last weekend, I flat forgot to report how Norma and I rediscovered the Louisiana Territory. We left home last Thursday, aiming her SUV with brand new shoes (the SUV, not us) toward the Mississippi Gulf Coast. Then we sat back and drove with the autopilot on. That is what that GPS does, right? It drives so you can focus all your attention on your driving companion. It didn’t work. We got lost in Meridian, barely two hours from home. I told Norma I knew the area like the back of my hand. I just forgot which hand. Then we got turned around in Hattiesburg and took the wrong road to the coast. In fact it didn’t even go to the coast. 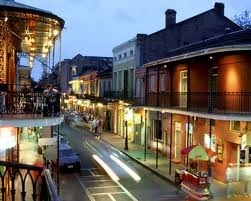 We were aimed for Bourbon Street. We kept seeing all these Louisiana signs and discovered we were in Slidell. Hey, isn’t that in Louisiana? LC (formerly Lota) called to say she had arrived at Pass Christian, and I told her we were right behind her. I had no idea we had drifted 90 miles to the east. We pulled over at a convenience store before we got to Bourbon Street and met a nice young girl (about our age). She told us how to get back on track and said God had brought us together. You know something? I think He did. We figure it took us about six hours to make a four-hour trip. 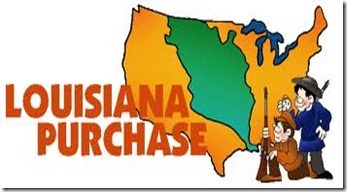 But we rediscovered the Louisiana Purchase. How many people can say that? This entry was posted in Boomerang & the old gang and tagged Deluded divas get lost, Getting lost in Louisiana by Emily Jones. Bookmark the permalink.